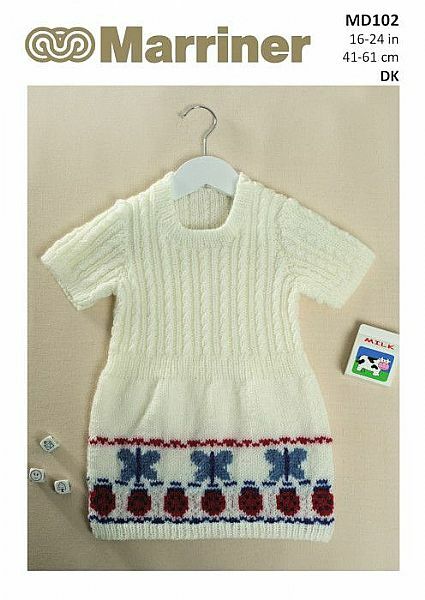 A very sweet dress pattern with cable-style details on the top and a ladybird and butterfly pattern around the bottom. This has been knitted in our Double Knit yarn in the shade Cream, with the shades Blue Mist, Claret and Royal used for the animal details. 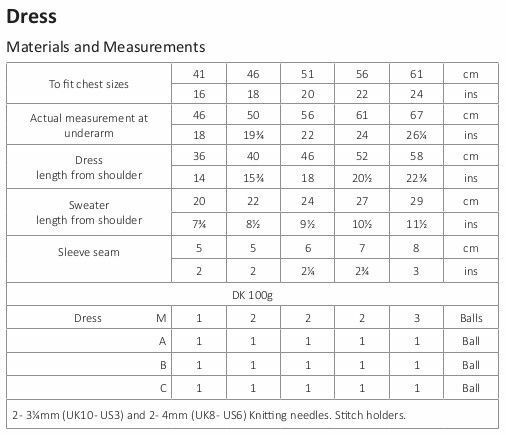 Hooks required A pair of 3¼mm (UK10 - US3) and 2 - 4mm (UK8 - US6) Knitting needles. Stitch holders.